Your retail management system purchase is not simply a transaction. With ECRS, it is the beginning of a technology success partnership. ECRS is accessible, dedicated, and committed to your continued prosperity. Our specialized teams of retail experts will be ready to help you at every step of the onboarding process. Once you’re up and running they’ll keep you moving with world-class support, and help you grow to new levels of success with expert consultation. We're here to keep you moving. 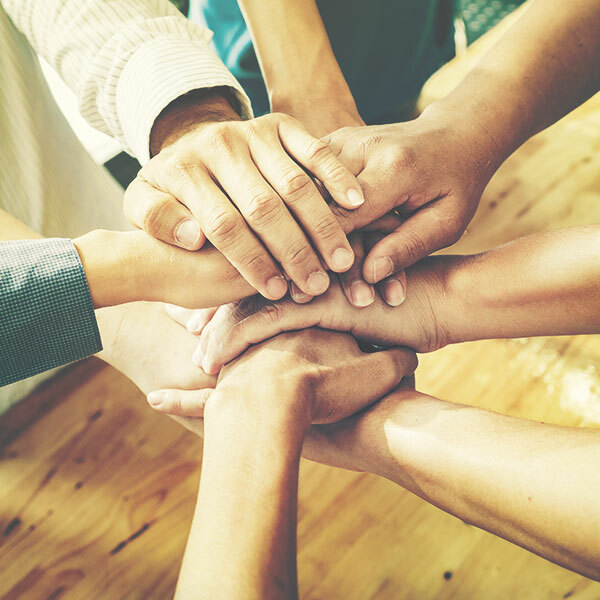 Our Certified Onboarding Team is available as soon as you become a member of the ECRS community. Our project management specialists, database integrity experts, and implementation crew will make sure that your switch to CATAPULT is seamless. Project Management Specialists work one-on-one with clients to ensure successful implementation of the CATAPULT system. A dedicated project manager will assist you in proper site preparation, coordination of databases, and support training. Database Integrity Specialists analyze and manipulate enterprise, customer, and vendor-related data to secure accurate inventory, scan rates, and smooth transactions from day one. They also assist in importing data from existing systems. Our Implementation Specialists have over 50 years (collectively) of experience installing CATAPULT systems for clients around the globe. They are dedicated, seasoned experts with a deep knowledge of the CATAPULT system. Many of our technical advisors are Qualified Integrators & Resellers (QIR) certified. ECRS adheres to the best practices as defined by the PCI Data Security Standard in order to protect important customer data as it is stored and used within the CATAPULT. 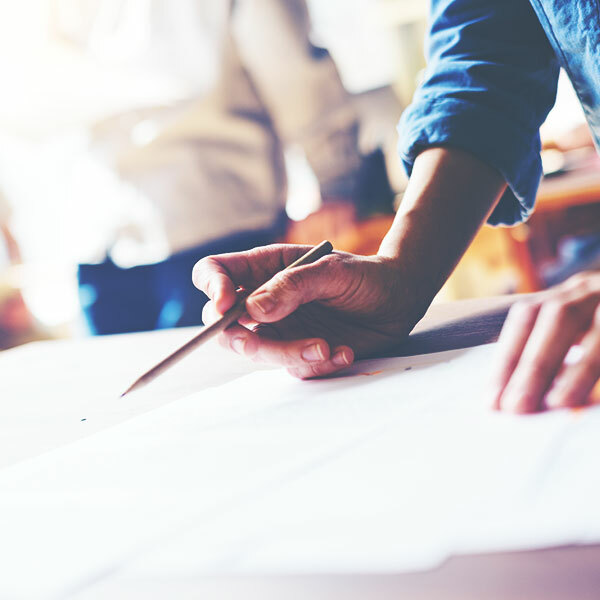 Smaller merchants without an internal IT department are recommended by the PCI Security Standards Council to use QIR certified installers to avoid the risk of potential security threats. One of the great things we see about ECRS, besides the software, is the support. Every company says it, that ‘we have the best support,’ but ECRS lives up to its claim. We’re here to keep you moving. Our in-house support operation is 100% U.S.-based and operates primarily out of our headquarters in North Carolina. Our account executives serve as friendly, accessible, local points of contact to address your onboarding and technical needs. We’re proud of our dedicated technicians and their award-winning service. They’re proud to serve you. Our technicians are available Monday - Friday, from 8 a.m. to 9 p.m. EST. We know problems don’t always honor a 9-to-5 schedule. Emergency support is always available on holidays, weekends, and after 9 p.m.
We provide all of our retail partners with a detailed Support Level Agreement and access to a customized, virtual support portal. Our Customer Care team is designed to help you in year one and beyond. They’re always there to answer questions about ECRS’ technologies, provide insight, get you connected to the right resources, and process add-on orders and service requests. Visit us in the beautiful Appalachian Mountains during one of our Local CATAPULT University training sessions and master the ins-and-outs of retail automation in an intensive 3-day course. We offer our hands-on training each month. Regional CAT-U is for advanced CATAPULT users and consists of 3 days of intensive, hands-on experience, for practical system exposure and first-hand use of your CATAPULT system. Retailers from various industries attend CATAPULT University classroom trainings, so the environment is not only focused, but also collaborative. Regional CAT-U (Advanced Training) is offered quarterly at central locations across the United States. As dates and locations are scheduled, ECRS customers are notified via our company website and email blasts. Help is never more than a few clicks away. Attend one of our CAT-U Online training sessions, or complete a certification online and become a part of our growing retail success community. Our retail partners are granted anytime-access to our technical support portal, MyECRS which provides software updates, training videos, product documentation, system alerts, and support ticket tracking. 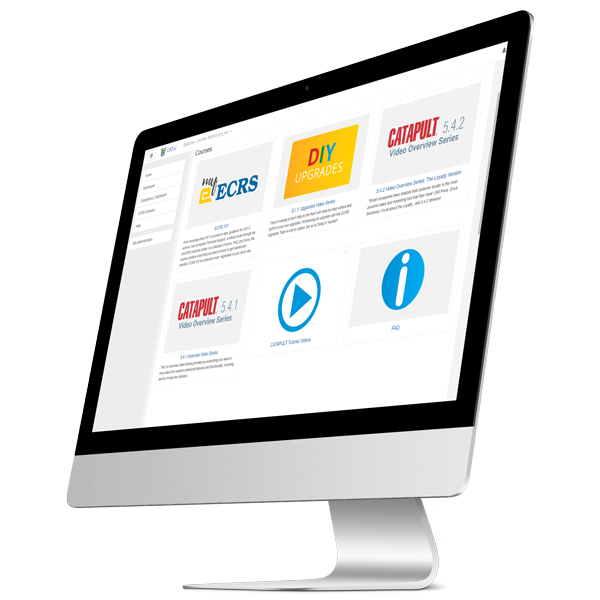 ECRS provides free access to our cloud-based Universal Product Database (UPD), providing product images and information on over 500,000 product records. The UPD simplifies the task of building and managing product item records. Clients get free access to our online training and certification program! The course empowers store employees by teaching practical uses of CATAPULT. Smart Launch: For customers who wish to achieve singular project goals over a set time period. Success Navigator: For customers who wish to achieve multiple business goals over a long-term period. Smart Launch consultants can help you master different aspects of your CATAPULT technology stack as you plan out a series of near-term tangible goals. They’ll also help you build out a framework for reaching long-term objectives. Our Success Navigator program provides you with guidance on maximizing retail successes so that you can sustainably grow your enterprise. Discover the freedom to innovate through ongoing strategic consultation and customized solutions. Our industry experts, retail veterans with decades of experience, will work with you to help get the most value out of CATAPULT® and every other dimension of your retail enterprise. What Does Success Navigator Include? 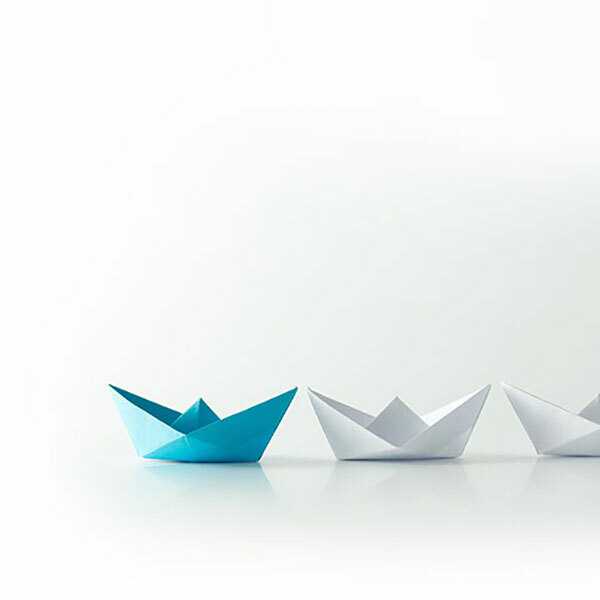 Your dedicated ECRS consultant will meet with you to discuss your needs, listen to your goals, gather information, and build the framework of your Success Navigation strategy. 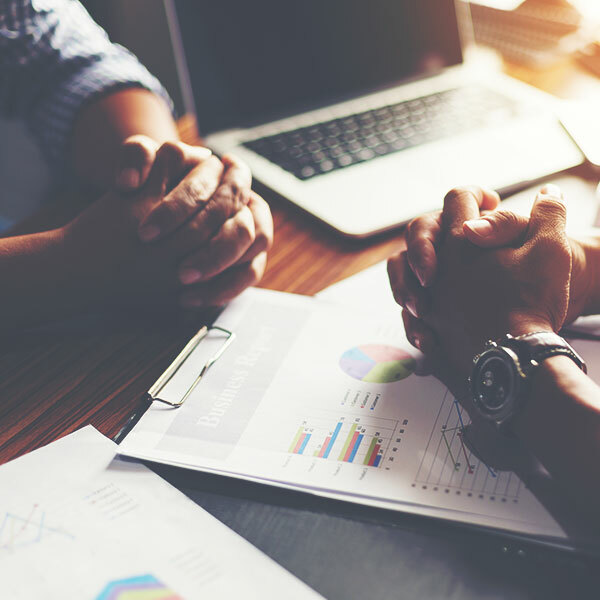 With your goals in mind and the database review complete, your dedicated consultant will present their initial report and review existing concerns, recommend initiatives, and lay the groundwork for your Success Navigation strategy. One-hour strategy session with your dedicated ECRS consultant occurs every two weeks to discuss goals, evaluate progress, brainstorm ideas, and develop growth strategies. These meetings should be used to address your top priorities. 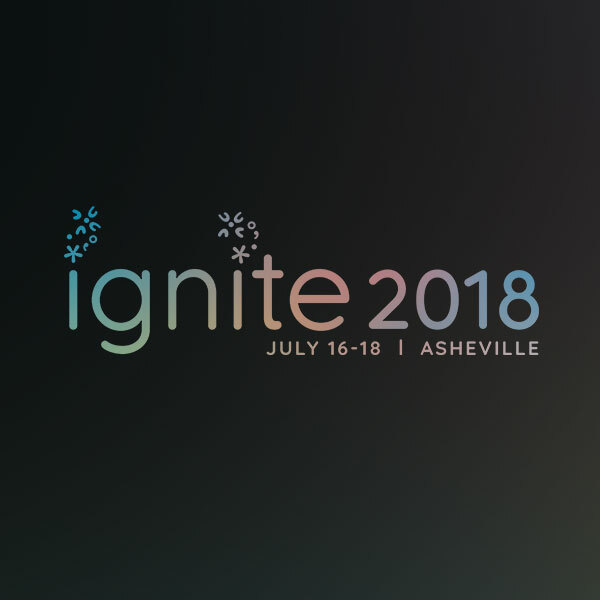 Success Navigator subscribers get access to exclusive sessions and events at the Ignite™ Retail Success Conference including a tailored, live Success Navigation session, and an exclusive event with our President, Pete Catoe. ECRS’ annual Ignite conference is designed as a meeting of minds on a mission: to build a retail success community. The conference brings together retail and technology executives with industry thought leaders to offer insight, share ideas, and explore innovative solutions that optimize retail performance.